Today might be a good day to make Ginger Cookies. That is, if you aren't making storm preparations. It seems that mother nature is making herself known in all kinds of dramatic. ways. It seems within 24 hours we are experiencing earthquakes and tsunami warnings in the West, Hurricane, rain and storm surge events in the East, and winter storms everywhere in between. It will also be a Full Moon in Taurus tomorrow. And that alone, is helping to fuel the storm surge predictions for Hurricane Sandy, raise the tides and increase the surf. 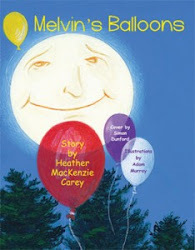 The Moon in Taurus, according to We'Moon 2012, slows us down. Taurus energy is deep, heavily rooted, earthy in nature. A Full Moon in Taurus can be a good time to focus on your resources of home, health, and garden. 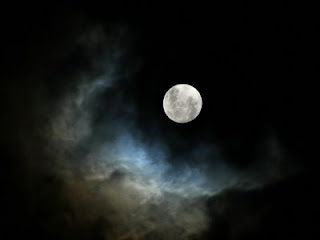 Perhaps it's no coincidence that the last time I wrote about a Full Moon in Taurus on this blog, we were also getting ready to feel the impacts of a major storm. http://pixiedusthealing.blogspot.ca/2011/11/full-moon-in-taurus.html That freaked me out a bit when I read the old post and looked at the date, because it's pretty much was I was going to write today! I still believe in all the things I've written about before. I think it's important to be prepared so you're not scared. I think the Moon Cycles can intensify our feelings and the moon in Taurus may be intensifying our fears of insecurity and magnifying the need for safety. I believe you can use that energy to be motivated to prepare and take logical steps to protect yourself so your emotions remain positive. I believe there are Bach Flowers that can help ease the transition in full moon cycles, as well as before, during and after major storms. 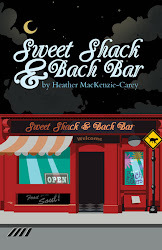 Samantha in Sweet Shack & Bach Bar, http://www.brylerpublications.com/books/fiction/sweet-shack-and-bach-bar got some Root Charka help from Wise Woman. She received Rock Rose, Sweet Chestnut and Clematis Bach Flowers. That helped with her fear of storms and basic survival. She also got a plate of ginger cookies. That helped as well. And Merlin gave her red shoes- for that you'll have to read the book.